Well let the accusations fly!! Alderman Leslie Hairston has spoken loud and clear and blast Mayor Emanuel for not having his attention focused on getting an occupant for the closed Dominick’s location on 71st & Jeffery in the South Shore area. 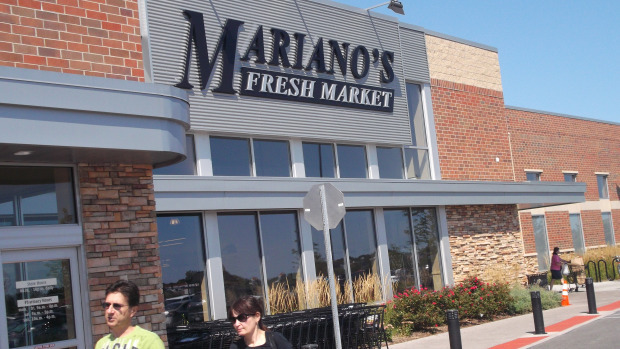 Mariano’s bought up several of the closed locations when the stores shut their doors but has not made arrangements to bring their services to the South Shore area. When contacted by Alderman Hairston Mariano’s declined to give an explanation as to why they will not be occupying the Jeffery Plaza location. Ald. Leslie Hairston (5th) said Wednesday she feels “like I’m living in a part of the city that’s been cordoned off” after Mariano’s unveiled plans to build a new store in Bronzeville while a shuttered Dominick’s in South Shore remains vacant. Hairston said she’s so incensed by Mayor Rahm Emanuel’s failure to go to bat for South Shore — and, what she calls Emanuel’s North Side-centric development efforts — she’s considering running for mayor, emboldened by a Chicago Sun-Times poll that shows Emanuel with support from just 29 percent of those surveyed. That only poured salt on Hairston’s political wound. She’s been told that Mariano’s isn’t interested in the empty grocery store at 71st and Jeffrey Boulevard, but she has not been told why. She’s still sitting there with Chicago’s only shuttered Dominick’s that has yet to find a replacement grocer. “I feel like I’m living in a part of the city that’s been cordoned off. Every day, I drive by the vacant Dominicks’s in Jeffery Plaza and I’m wondering if we’re ever going to get a place to shop,” Hairston said. After Wednesday’s news conference, Mariano was asked why not South Shore? “It’s not a matter of why not South Shore. We’ve been working on this [Bronzeville store] for well over four years and we’re doing these one at a time. We’ll continue to work for other opportunities throughout the South Side, as the mayor alluded to. We can only do so much at one time,” he said. That didn’t stop Hairston from accusing the mayor of failing to go to bat for South Shore. “He should work harder to make sure there is a grocery store in Jeffery Plaza. He needs to put the same type of energy and effort [into that] that he is putting into building a school named after the President from my ward” on the North Side, Hairston said. Hairston was just getting warmed up about Emanuel’s controversial plan to use $60 million in tax increment financing funds to build a new selective enrollment high school named after President Barack Obama near Walter Payton College Prep. “There is no connection. The connection with the President is with the South Side of Chicago. Again, it’s like we’re living in a cordoned off part of the city. 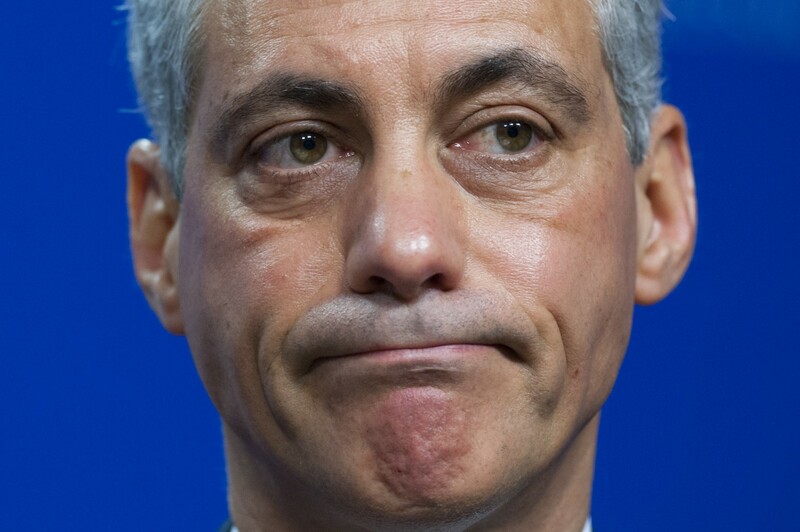 Everything being done is being done north, but we’re still paying taxes on the South Side. You can go through the Department of Planning and Development handbook for last year. Everything is on the North Side,” she said. If Hairston is starting to sound like a candidate for mayor against Emanuel, there’s good reason. “Attention needs to be paid to the whole city and not just parts,” Hairston said. Emanuel has alienated African-American voters who helped put him in office by instigating Chicago’s first teachers strike in 25 years, closing 50 public schools, opening new charter schools and unveiling plans to build new schools and school additions, with the educational largesse heavily concentrated on the North Side. The political fallout of those actions and persistent crime showed in the Sun-Times poll. Among African-American voters surveyed, Emanuel got just 8 percent, barely above the 3 percent registered by Ald. Bob Fioretti (2nd) and former ald. Robert Shaw (9th). County Board President Toni Preckwinkle got 35 percent. 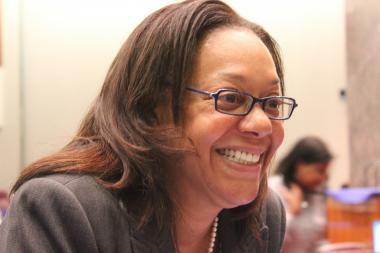 Chicago Teachers Union President Karen Lewis scored 16 percent. Only 23 percent of those surveyed supported the mayor’s controversial plan to build a new selective enrollment high school on the North Side named after President Barack Obama. Fully 70 percent of those surveyed believe the $60 million in TIF money should be spent on something else. On Wednesday, Hairston was asked whether she believes Emanuel could lose, in spite of his $7.4 million campaign war chest. “The lack of effort to secure a grocery store in a very politically-active community will not have a good outcome. That, coupled with the over-emphasis on the North Side [and] any of us could lose. It’s going to be a major factor. Let’s put it that way,” she said. It’s not the first time that Hairston has unleashed her anger about the shuttered South Shore Dominick’s. Other City Hall sources insisted the mayor has been working feverishly behind-the-scenes to find a replacement for the South Shore Dominick’s. Those same sources also strongly disputed the alderman’s claim that Emanuel’s development efforts have been North Side-centric. Ald. Will Burns (4th), whose ward includes Bronzeville, said the new Bronzeville Mariano’s is critical to his efforts to transform the site of the CHA’s Ida B. Wells Homes into a thriving mixed-income community. He doesn’t want that to get lost in the political battle between Hairston and Emanuel. “This is critical for Bronzeville — absolutely critical. I’m happy the mayor has supported this project. Just because development is happening in Bronzeville doesn’t mean development isn’t happening in South Shore as a consequence,” Burns said.